Rice Hull Compost in Edmonton? Back in the day, every good gardener knew about the value of manure from horses and cows and even sheep. Mixed with bedding straw or hay and left to rot in a big pile, it was the source of a reliable soil amendment for many a kitchen garden. Today, people in cities go to much trouble to duplicate this product by recycling all sorts of organic waste from the garden and the kitchen. 2. What every good compost pile needs. 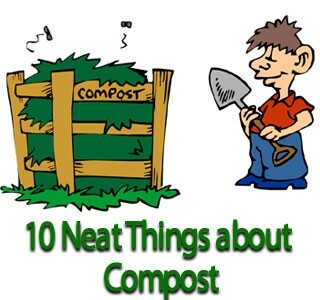 Nothing can happen to a compost heap unless it has carbon (brown and dry organic material) for energy, oxygen to oxidize the carbon, nitrogen (green vegetation) to help organisms grow, and water to activate everything. When you get the ratio just right, then the beneficial bacteria, fungus and sometimes worms will get to work and begin breaking down the raw materials. Your compost pile should be between 135 F and 160 F (50 C to 70 C) to kill nasty pathogens and hasten along the decomposition process. Adding too much water or too much air can slow things down; so can too much carbon. If you really want to get things going, try peeing on the pile once in a while (do this late at night when the neighbours aren't looking). This adds nitrogen, phosphorus and potassium - but don't get carried away. Too much nitrogen can slow things down, too. 4. Let others do the work. If you are a lazy composter, you can always let others get the job done quickly and efficiently, "those others" being black soldier flies which can eliminate food waste overnight, processing it before it even begins to rot; cockroaches, which are efficient in converting waste into nutrient-dense compost; or something called bokashi (a Japanese word for "fermented organic matter") a mix of microorganisms delivered in a vector of bran or some other grain which uses anaerobic methods and organisms to break down food in an odourless but efficient manner. This is the process of using microorganisms that don't use oxygen to live to break down biodegradable materials. Anaerobic bacteria are the cause of many infections. Worms are one of the "others" that can do the work for you in composting. Their castings are filled with nutrition and during the processing of vegetable food waste, complex cellular structures are converted into essential enzymes, hormones and minerals, while harmful pathogens are removed. The number of beneficial microorganisms in vermicompost is many times that of fertile soil. Worms also manufacture auxins as they process food. Auxins are plant growth hormones. Many people think compost is all about fertilizer, but sometimes compost is nutrient-poor but still good for the garden. Such is the case for mushroom compost disposed of when the mushrooms have used up most of the nitrogen. Mushroom compost is made up of wheat straw, dried blood, horse manure and ground chalk. Added to the soil, it increases tilth. Because of the chalk, it tends to be on the alkaline, side so don't use it for acid-loving plants such as weigela or blueberries. 8. Humus versus compost - what's the difference? Humus is a complex mix of plant and animal remains broken down by mechanical rather than chemical means. It is dark and spongy, jelly-like and, when bound to clay, capable of holding water for plant use and for the use of bacteria, fungi, nematodes and earthworms. Compost is merely the icing on the cake, an integral and constituent part of soil organic matter that results from the action of soil organisms. When charcoal is used as a soil amendment, it is called biochar. It was also called terra preta de Indio by Europeans when it was brought to Europe from the Amazon. The carbon compounds in charcoal form loose chemical bonds with soluble plant nutrients so they are not as readily washed away by rain and irrigation. Used in conjunction with compost, biochar can provide a rich diet for plants with a slower reduction of nutrients from the soil. Biochar is produced by smoldering agricultural or bio-waste in a low oxygen environment. 10. How long does compost take to make? It takes from one month to two years to make compost depending on how you manage your pile. It can take even less time if you use one of the assisted methods named above. Or you can buy it in big bags at your local garden store.